Get house removal costs, advice and a lot of info you need to prepare yourself and organize a smooth relocation. Get the service you deserve from a local moving company. Wherever you are moving our international shipping managers will work out the exact cubic volume of your move and find the best solution to move you quickly and cheaply..
We can handle any type and any size of commercial move. From office removal planning and project management to professional physical relocations including IT and file transfers. Whatever you want to store - household goods,, personal belongings, sport equipment, office furniture, computers or archives we have the right solution to meet your storage requirements. Birmingham Removals provides a full spectrum of high quality moving and storage services ready to handle any home and commercial relocation across the UK. As a professional, reliable and experienced house and office movers we carry out projects not only in all major UK cities like Birmingham, London, Bristol, Manchester, Leeds, Liverpool, Chester, Coventry, Wolverhampton, Glasgow or Edinburgh but we also cover all suburban areas. Moving can be very stressful and tiring. By choosing our Birmingham removal firm you get a piece of mind that the entire moving adventure will go smoothly and will be a pleasant experience. Once you have used us you will not have any objections to recommend us to your family, friends or business partners. Whether you are relocating your home or office within the West Midlands area or in other UK counties our network of UK professional house and office movers we provide removal and storage services at local rates. We are cheap, nationwide and fully professional network of moving and storage firms that over the years has developed an exhaustive set relocation services to be able to provide a tailor made and cheap removals to all our valuable clients. Through our nationwide network of movers bringing together over 100 cheap, local and credible moving and storage companies we are able to offer first class office removals in Birmingham, Coventry, Dudley, Sutton Coldfield, Stourbridge, Solihull, Nuneaton and home moving services across the United Kingdom and worldwide. Wherever you are we have the local area knowledge and offer removals at very competitive costs. By contacting Birmingham Removals you will get a fully detailed removal and storage quote based on cheap local rates. The total price of the removals will be broken down to individual services so that you can decide later what options you would like to take. To gain the trust of our clients we have no hidden costs policy. The costing for your move is always free and with no obligation to use our domestic and commercial relocation company Birmingham. We provide shipping from the UK services to any worldwide destinations and are able to plan, organise and execute international removals of any sizes – single item, part or full load shipments. We can deliver the entire content of your house to anywhere in the world. Through the UK wide network of shipping companies regular services can be offered for shipping to Australia, USA, Canada, South Africa, New Zealand , weekly removals to France, Holland, Belgium, Spain, Germany and deliveries to many more countries across the globe. The national network of house removals firms allow us to offer any type of service you require at low and cheap shipping costs. Our UK moving and storage companies spread across the world. Simply contact us for a free estimate. Our Birmingham office removals company employs highly skilled and trained relocation managers to help small businesses as well as large national companies plan, organise and oversee their commercial moves. We move one person companies and 1000 employee corporations. With our office removals and storage services the disruption to your business will be none or as little as possible so it has no negative impact on your day to day operations. Local removals Birmingham is what we do every single day. Move your business with professionals that work 24/7 just to keep your firm up and running. Commercial and industrial moves carried by our local office movers Birmingham are always properly planned. We take in to account every potential problem and allow special moving equipment, extra time and man power to ensure smooth business transition. Birmingham Office movers can help you relocate with no stress. 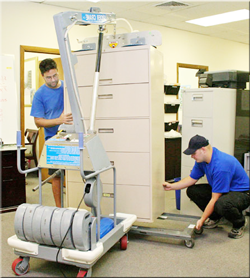 We will pack your files, label IT equipment, dismantle office desks and even relocate your servers. Our moving crates and removal boxes will make sure your employees personal belongings and your office equipment will be delivered to the new office in one piece. Just to give you an extra piece of mind we will provide an option for the insurance to cover any potential damages as accidents happens from time to time. Commercial movers Birmingham can also provide library moves , hospital relocations, NHS and laboratory removals, University, School and College removals. 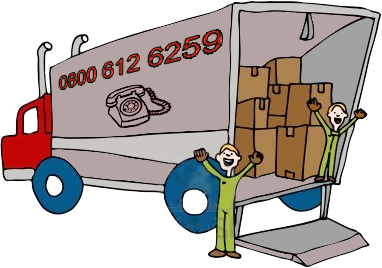 Basically we have move any type of business and provided work for all types of industries across the United Kingdom. Birmingham is a largely populated city having about 1,085,400 residents according a 2012 estimate. It comes next to London when it comes to population density. Birmingham which is not just a city but also a metropolitan borough is located within the West Midlands Built-up Area and this is exactly when Removals Birmingham is carrying office moves each day. At the initial time the city was only a medium-sized market town. However, it was at the core of Midlands Enlightenment and Industrial Revolution that the city came to prominence. During this period, the town championed scientific, technological and economic advancement. A lot of innovations upon which several foundations of modern industrial society were were made. In 1791, it became popular as the first manufacturing town across the globe. However, today, the economy is majorly propelled by the service sector for example services provided by removal companies. As one of the major cities with dense population in the UK and entire Europe, Birmingham has all it takes to offer maximum relaxation and comfort to its citizens and residents. It boasts of a lot of amenities, places of interest, clubs, education institutions, good road networks and others. In the first instance, it is easy getting around the town. There are excellent road networks and motorway systems linking various parts of the city which make it a perfect place for opening and running a manufacturing business. The public transport system is very efficient. There are buses, trams and trains for local transportation. Birmingham residents do not encounter any problem getting around. Besides, the city has links to other 500 destinations. So, you can easily drive to other cities. Each year people moving to and out of the local area are using our Birmingham Removals firm to move their belongings. Besides road transportation, Birmingham has other system of transportation making commuting and the removals of goods in and outside the city easy. There are trams and trains that operate internally for internal movement. However, there are also rail links with other cities. It takes about 1 hour 15 minutes to get to London from Birmingham. There are other rail links to other major cities. Local and international flights services are available at Birmingham International Airport which is located eight miles from the centre. There are a number of popular airlines that provide flight to various locations across the world like Asia, North America, Europe and other North American countries. Thanks to the huge number of job opportunities there are a lot of new businesses opening in here on a regular basis. Our Cheap Birmingham Movers help different companies to relocate to new bigger office or to clear out their premises when they decide to close down. Previously, the economy was centred on the manufacturing and engineering industry which was providing a high demand for warehousing, distribution and removals services. But today, the service industry is booming.. It is the backbone of the city’s economy. There are more employment opportunities in the education, health and public administration fields. Job vacancies are also provided by the financial institution and other business services. The Birmingham has 14 percent unemployment rate. As mentioned above, the area became prominent in history during the Industrial Revolution. Most of the structures in its earlier stage of history might have been destroyed during the Industrial Revolution. However, there is still few building dating to the earlier stage in its history that has been preserved. Today, it has a total of 13 scheduled ancient monuments and 1,946 listed building. The oldest churches in the city such as St Martin in the Bull Ring and others portray the medieval building styles. There are few Georgian buildings still available in here. Typical examples of such buildings include Perrott’s Folly, Soho House, Town Hall and St Philip’s Cathedral. All of this makes each removal in Birmingham even more exciting. Birmingham is known for education. It has 5 universities, namely Newman, Aston, Birmingham University and College. There are more than 65,000 students . Some of tcomming and leaving birmingham each year. Student removals is another service we can provide. These universities are stone throw away from the centre of the city while some are located some miles away. There are other lower academic institutions. Recently there have been a lot of projects going on and quite a few new colleges and primary school buildings have been built which keep our Birmingham removal companies busy. As the second populous city in UK, there are a lot of eating and drinking spots that serve various dishes including the culinary speciality of the region. Birmingham boasts of numerous clubs booming with sweet music especially during the weekends. If you want to dance and have fun till you drop, there are numerous clubs with DJ and live band music which are a great relax after a long hours doing removals. For those that like nightlife activities, a good number of these clubs also operate at night. Activities begin when darkness begins to cover the faces of the earth and continue till dawn. The shopping sector thrives in Birmingham also. So, if you are looking for a shopping opportunity, you will find a lot of shopping malls, supermarkets and department store to shop for various items. One of our removal services includes colleting and delivering furniture from shops like IKEA for example. Birmingham is very populous with a cosmopolitan and modern lifestyle. There are some new developments in the traditional Jewellery Quarter and around the network of canals. Luxury residential areas are being developed in various parts of the city such as New Street and Hill Street. The real estate market is booming. Our house removals Birmingham division is doing really well. So, if you are looking for a place to buy property, you should consider buying a house in Birmingham. If you prefer a suburban lifestyle, you should consider buying property in Sutton Coldfield located at the city’s outskirt. Generally, house prices in Birmingham are competitive. So, you will surely find a house to buy. If you are looking for a cheap removals Birmingham we are ready to help. Whether it is office relocation or a small residential move with have the expertise to provide the service.